Your commercial property is the source of your livelihood. Therefore, it is vital to keep it secure at all times and our commercial locksmith can definitely assist you. One of the best ways to do that is to ensure that you have installed the right locks and added all the security measures you can. However, most people simply assume that the locks installed originally by the contractors would be secure enough. As a result, what they do not realize is that these locks are not always properly installed and secure. At AJ Locksmith and Security, we always encourage our clients to have a professional locksmith inspect the locks. Your commercial property houses valuable merchandise, data, and important information. In other words, it is a good idea to be extra cautious. To sum up, you will need the most reliable commercial locksmith in the Dallas Metroplex area. Call us now for professional assitance. The best locks in the market. Consultation from our security expert. Advice on the placement of security cameras. Our professionals will address your concerns regarding the matter and give you valid advice based on experience and expertise. We will ensure that your security system is as airtight as possible. 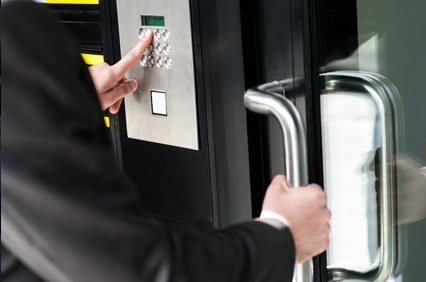 With all these improvements in security, you can imagine that it would be easy to gain access to your commercial property or open any files and safes. You’ll need an expert lock smith to help you in this case. Our locksmiths are very reliable and they take measures to ensure that the commercial property is yours before offering our service. This adds a level of security that ensures no one but you, the rightful owner, can gain access to your property. Our locksmiths are licensed, and insured. This ensures that your interests are protected across the board. If there’s any damage of property, you’ll be covered. Our lock smith is also very prompt in response and will come to your aid quickly, especially if there’s an emergency. If you have any questions or if you need to hire our services, all you have to do is get in touch with us at AJ Locksmith and Security. You can reach us by filling in this contact us form or you can give us a call on 214 935 3614. We’ll be happy to help you and answer your questions.